Lace Front Wig: "Lace Front Wig" or Front Lace Wig only has lace in the front of the wig .its made by half hand and half machince. 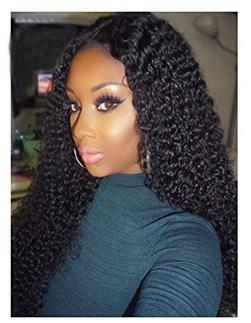 Full Lace Wig: "Full Lace Wigs" are lace wigs which are designed with the entire wig cap being made from lace as well as lace all around the perimeter of the wig. Its made by full hand. Full lace wig can with strap and combs. 2. What are Bleached Knots? 6.What is the baby hair for a wig? For a lace human hair wig with baby hair, Lwigs trims a few of the wig hairs at the hairline in order to make the wig look more like a natural head of hair. If you wanna do a ponytail and not show the cap, it’s better to choose a wig with baby hair or at least with back only baby hair. 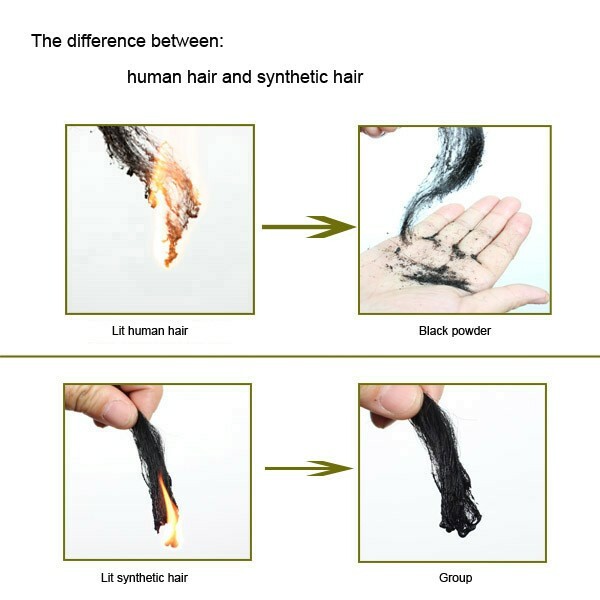 7.What is the difference between human hair and synthetic fiber? Human hair wigs made of human hair that are collected directly from Indian, Chinese, Indonesian and Caucasian hair donor. It has the most natural look which can be cut, styled, permed,or colored to suit your personal taste. And requires more care, they have to be shampooed, dried, styled and conditioned, just like your natural hair. Like your hair, they can lose their style if they get wet and frizz on humid days. Indian hair is currently the best hair on the market for wigs and weaves. It comes in different textures. These include straight, curly and wavy. The Indian hair is recommended for everyone. 8. 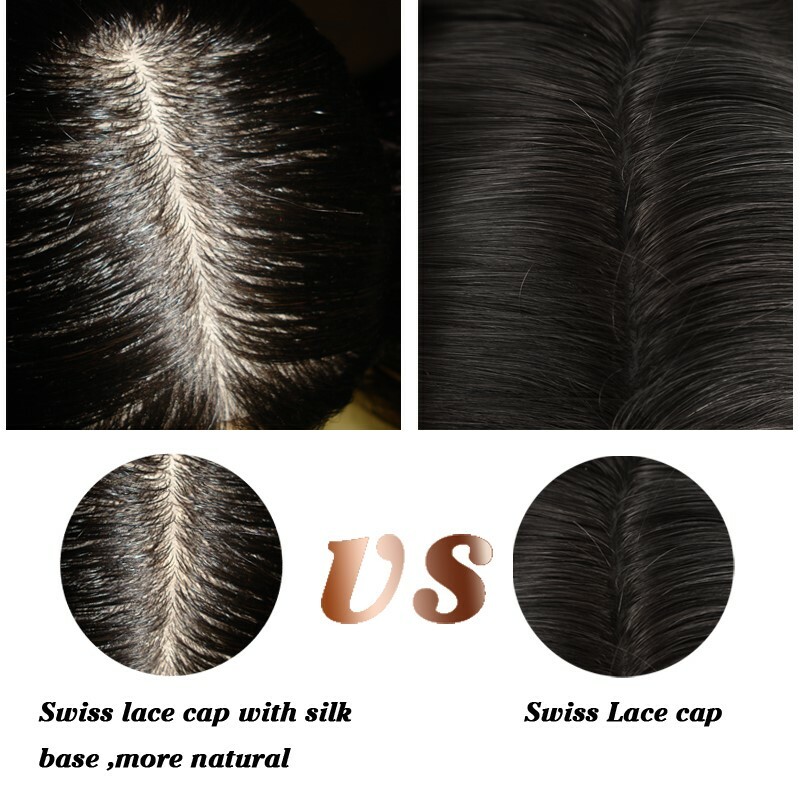 What is the difference between Full Lace Cap with Stretch and Full Lace Cap without Stretch? 10. Do I have to wear a wig cap with the wig? 11. Is the wig available for being parted as I wish? Yes, if you order free part lace wig, you can part it anywhere as you like. 12. Can I wear my lace wig in a high ponytail? 13.Can I shower or swim with lace wigs on? Yes, you definitely can. Well! You had better to put waterproof adhesive or tape on your lace cap when you swim. It is recommended you to wash it after you swim with it. Anyway, you can exercise in your wig. 14. Will the glues and tapes break my skin out? 16.The process of customizing a full lace wig. 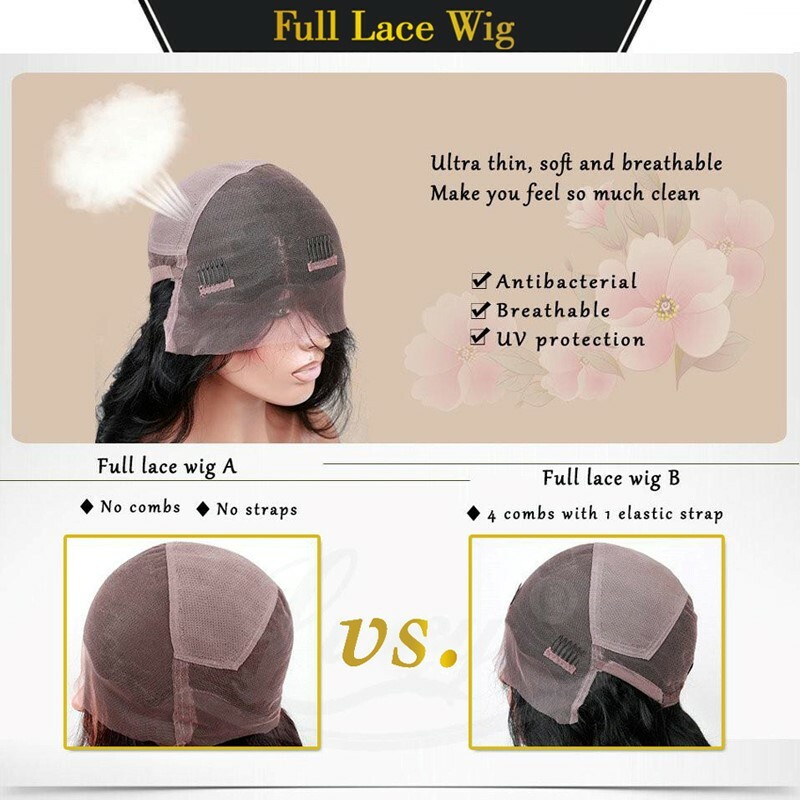 Chinalacewig aims to make custom-made full lace human hair wigs which are 100% purely hand tied. For the high skill and guaranteed quality, a customized full lace wig needs 20-25 working days. If with a silk top, it needs 25-30working days to finish. 1) Make the full lace cap as the customer’s sizes and request. 2) Collect plenty of raw material and sort out the kinds of hair. And the hair must have acid treatment in order to kill the bacteria. 3) Weigh and dye the hair. The density of the hair (we ourselves measure as the hair weight) is according to the requirements of customers. Tie it well with band for spare. 4) After the lace cap and the hair are completed, our professionals will hand-tie the hair evenly on the lace cap. 5) Finalize the design for wavy or curly. Put the hair into a hot oven, adjust for proper temperature to finalize the design. 6) If the wig needs professional hairstyles, like bob cut styles, our professional hairdressers will style them before shipping. 17.How to order a wig that can be dyed by yourself? If you wanna re-dye a wig at home, please order a natural color (natural black), no dyed wig. And #613-platinum blonde is another choice if you would like to dye your own hair color. Please NOTE that, color #1-jet black is a color cannot be dyed, please do not bleach your #1 jet black hair. And bright colors can be dyed to darker colors, dark colors cannot be dyed to bright colors. Leave us a message like that” I wanna dye the wig myself, give me a no-dyed, natural colored wig” when you place your order. 19.How to care your human hair products?